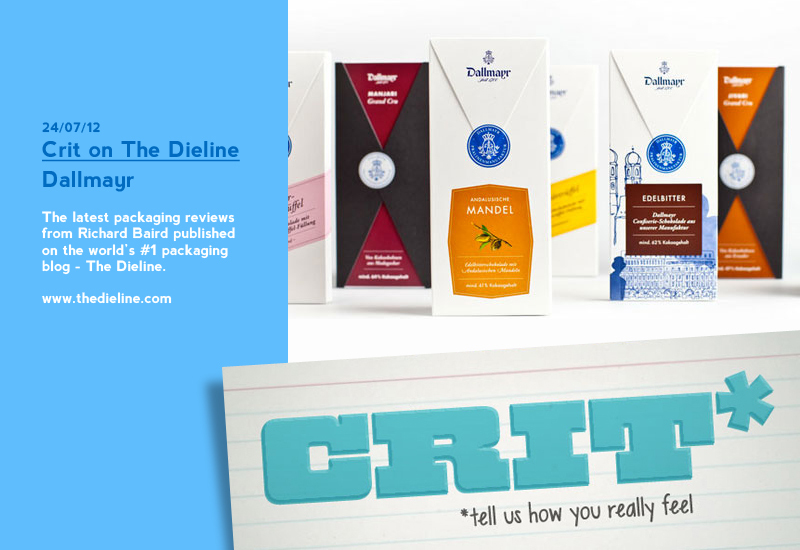 For last week’s Crit on The Dieline I reviewed the packaging for a new range of premium chocolates created by Munich based delicatessen, luxury food store and restaurant Dallmayr, a company with a history dating back to the 17th century. Their new 15 bar range, branded and packaged by fpm mixes illustrative and typographic detail, seals and stickers, a pale colour palette and an unusual segment shape to capture, with a contemporary sophistication, the traditional crafted quality of the range and the heritage of the brand. 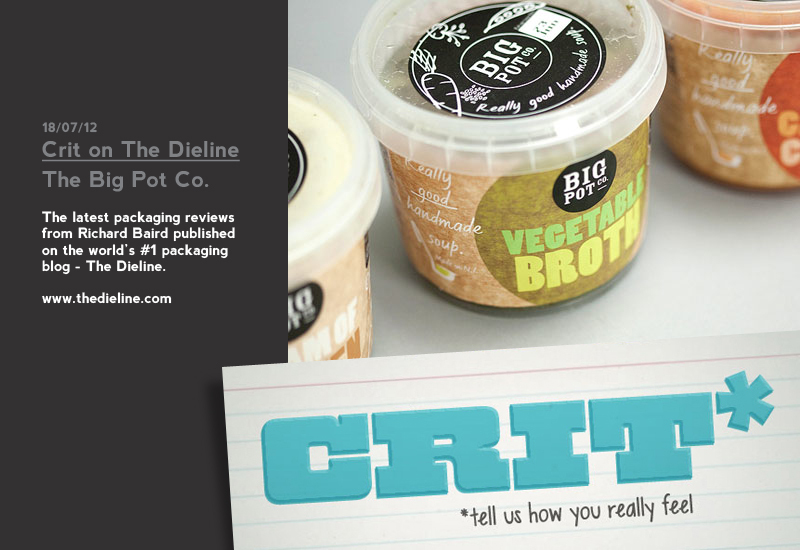 Review on The Dieline: The Big Pot Co.
For this week’s Crit on The Dieline I reviewed the packaging for a range of fresh, handmade soups produced by the Big Pot Co. Designed by Dublin based Pierce Communications the solution mixes a local and traditional chalkboard aesthetic, bold typography alongside light hand drawn script and illustrative detail to capture the regional and batch produced nature of the soup. 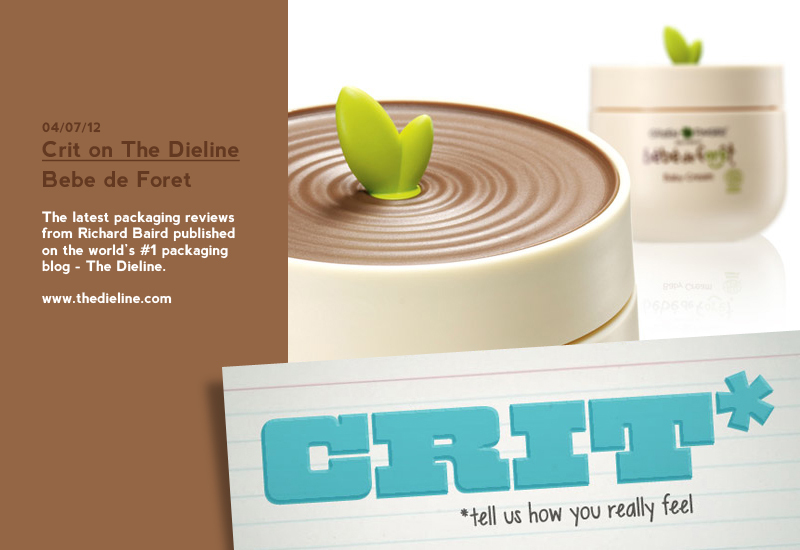 For this week’s Crit on The Dieline I reviewed the packaging for Bébé de Forêt, a new range of organic skincare products from South Korean brand Green Finger. Bébé’s packaging, created in house by Kimberly Clarke partner Yuhan-Kimberly, mixes an usual plant pot structural design and a playful illustrative typographic combination that draws a parallel between child and plant growth to reflect the all natural and organic ingredients used throughout the range.